The Think Movement by J. Sakiya Sandifer » break through or wasted technology??? break through or wasted technology??? 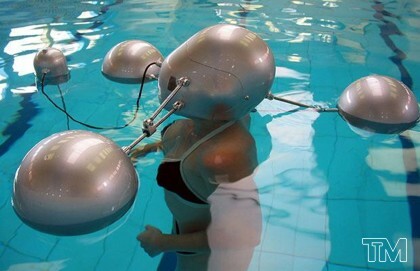 The Isophone – an underwater telephone system designed by James Auger and Jimmy Loizeau.Â The space-age device means you can communicate with other swimmers while splashing around in the pool.